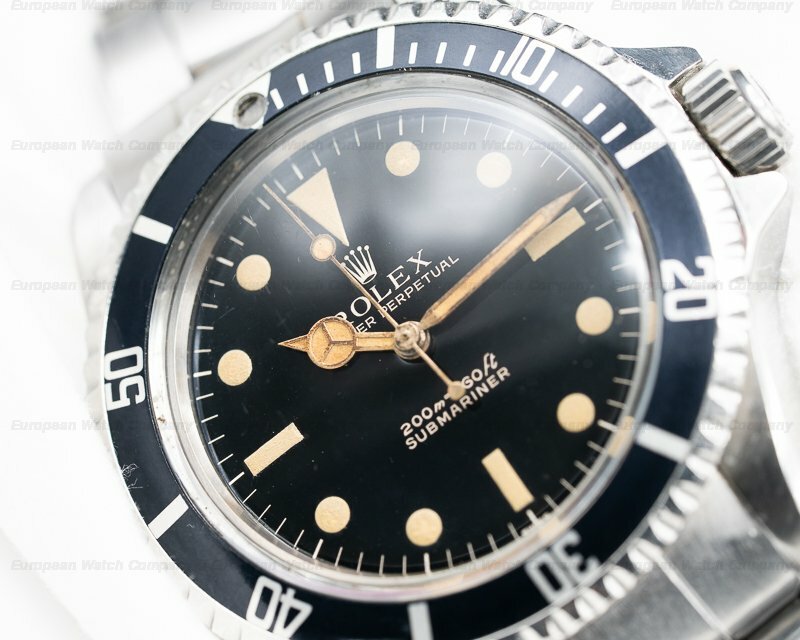 30374 Rolex 5513 Submariner Gilt Circa 1964, stainless steel case is in excellent condition with lugs that are full and thick, the stainless steel bracelet (7206/80) has minimal stretch and dated 2 / 64, meters first gilt dial is in exceptional original condition, the dial surface is dark and clean, luminous material all appears original and is outstanding, all luminous material is uniform and original, gilt hands, gilt printing is bold and bright, the bezel has developed a slight fade, size 40mm, 881XXXX SN (1964), serial and model number are clear and defined, Excellent Condition for a 5513 Gilt Rolex Submariner and is a staple to any vintage watch collection. 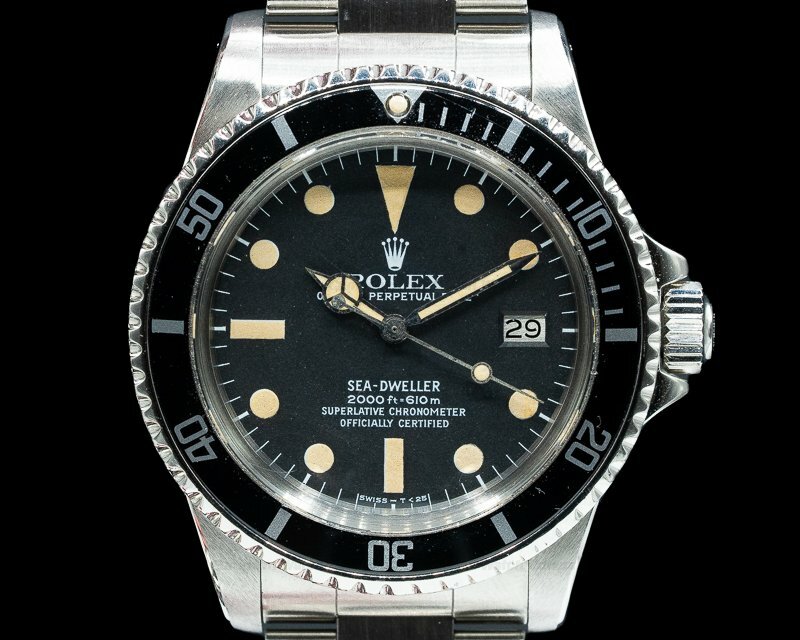 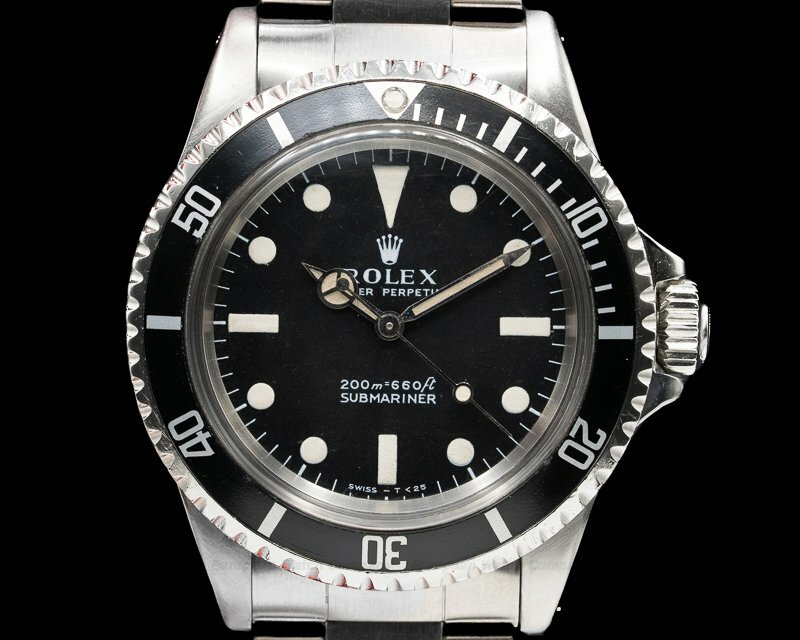 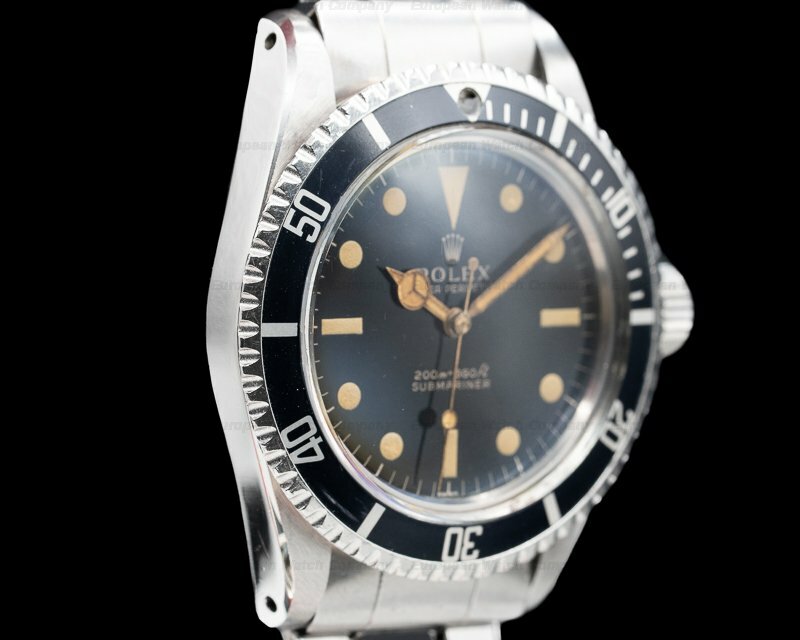 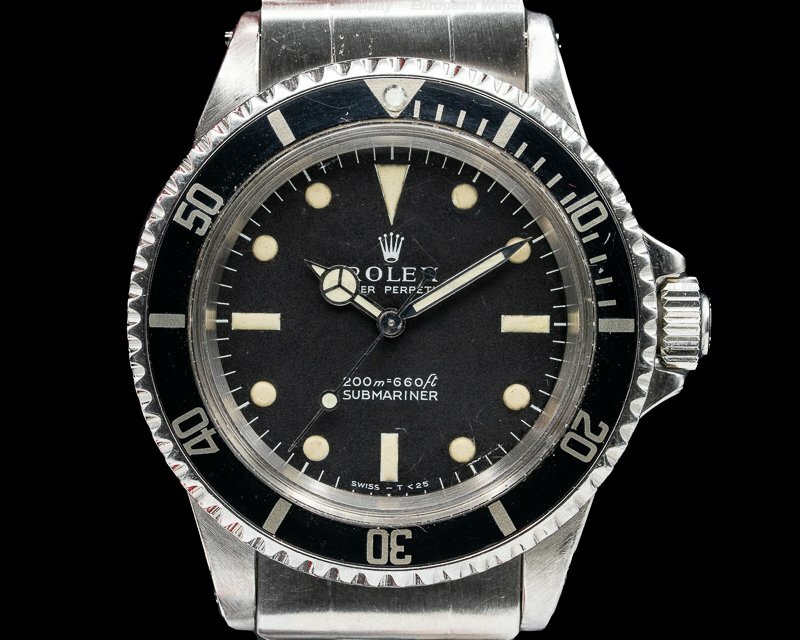 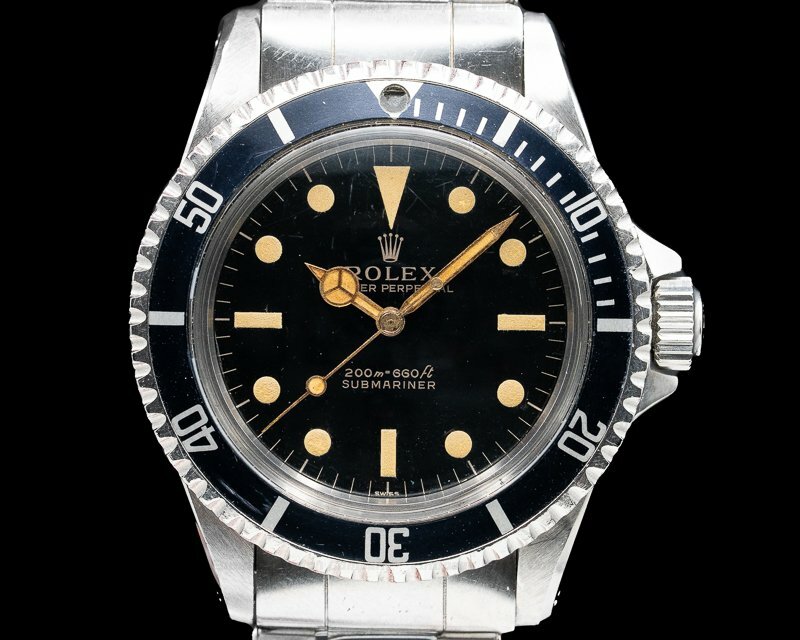 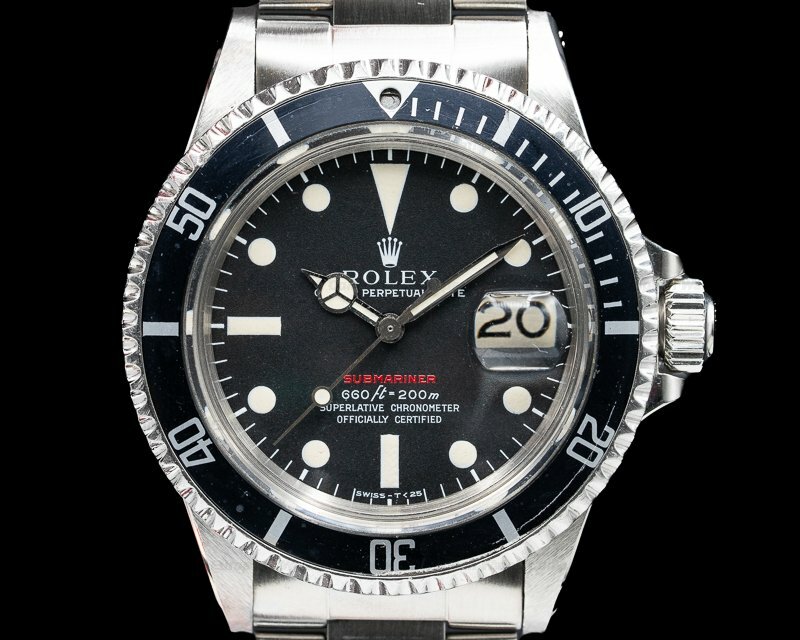 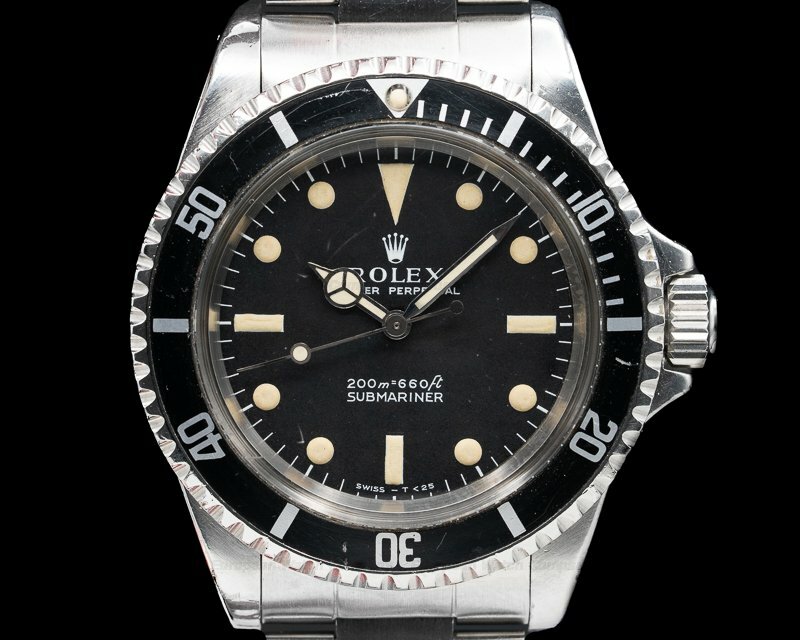 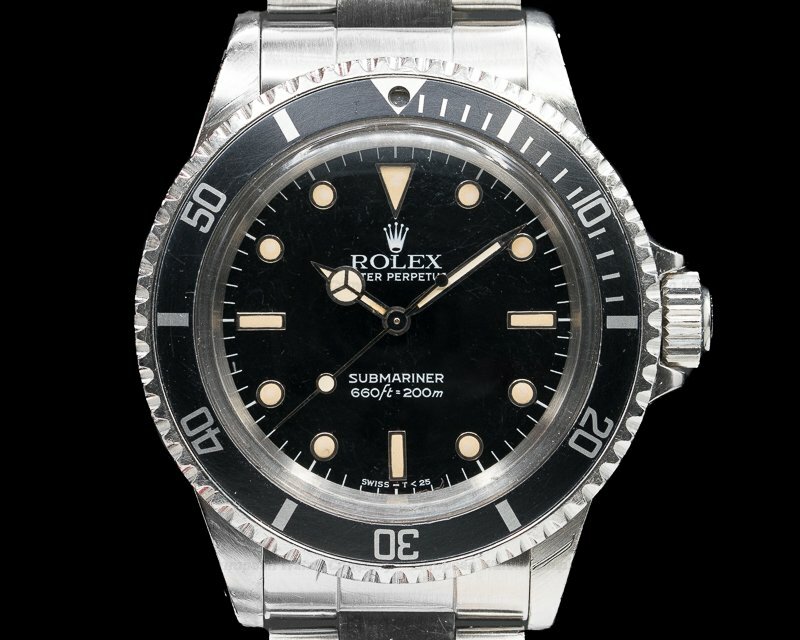 This is a vintage 1964 Rolex Submariner Gilt 5513. 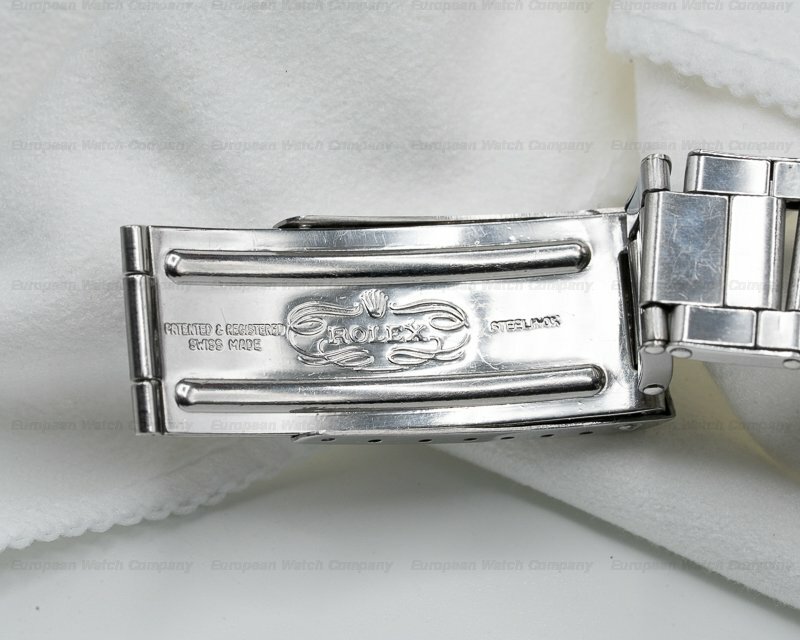 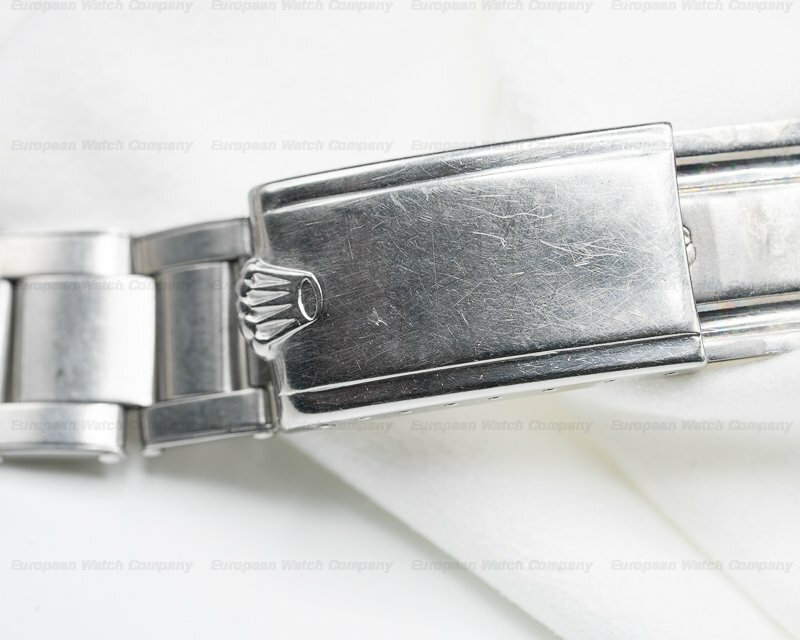 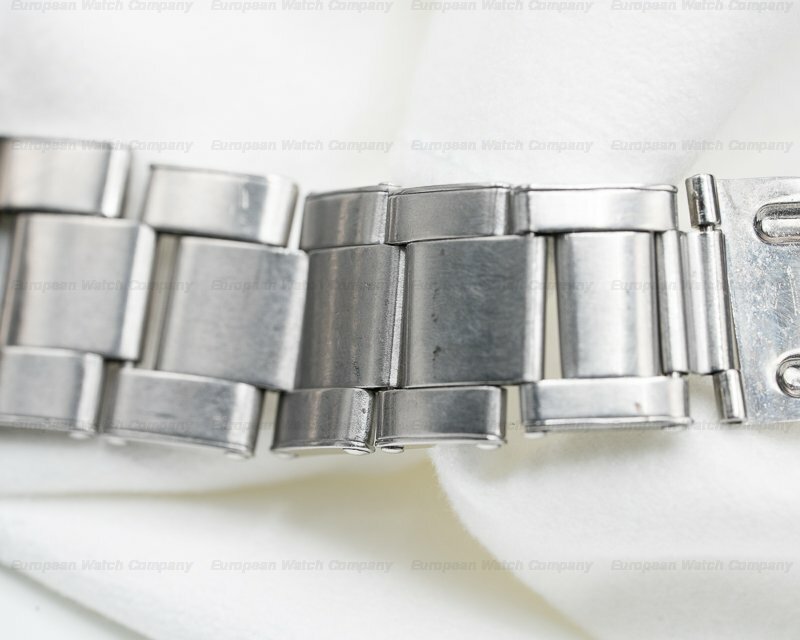 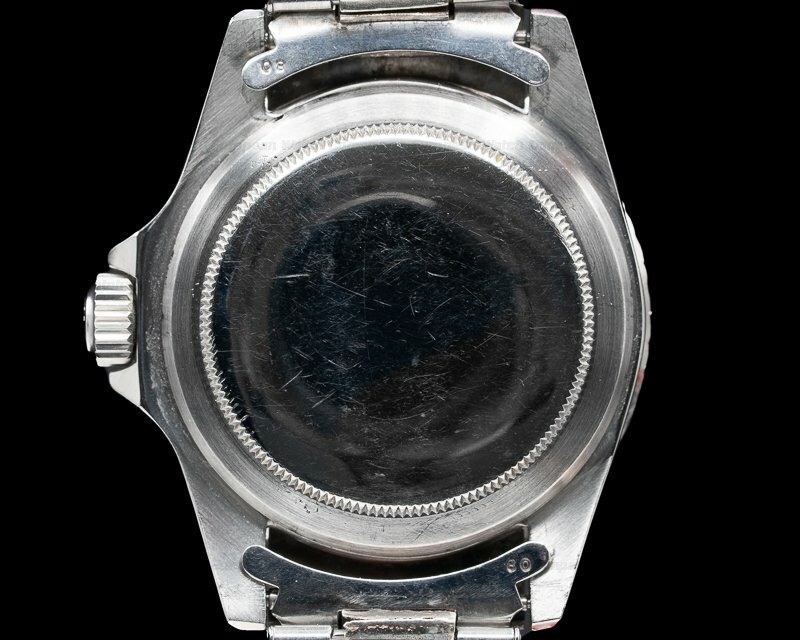 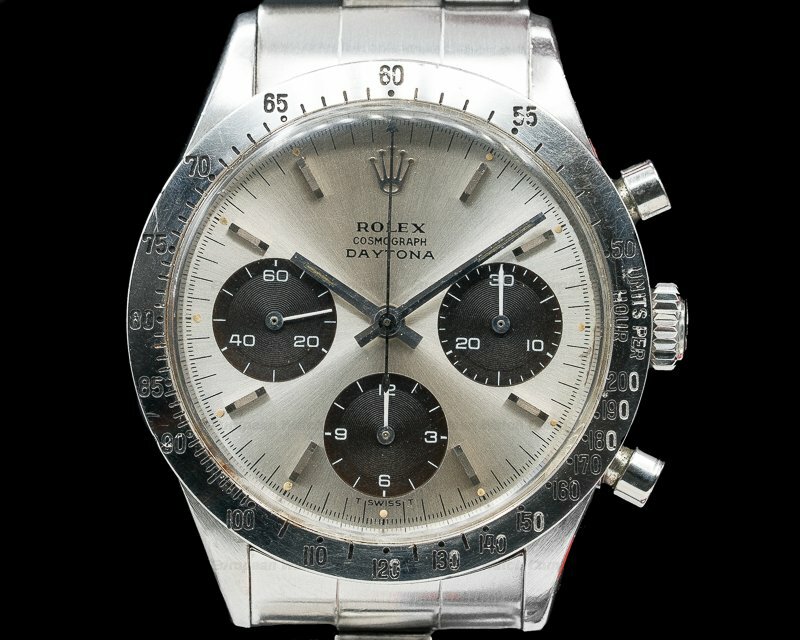 It has an integral stainless steel Oyster riveted link bracelet (Rolex 7206/80) that's dated 2/64, and an acrylic crystal. 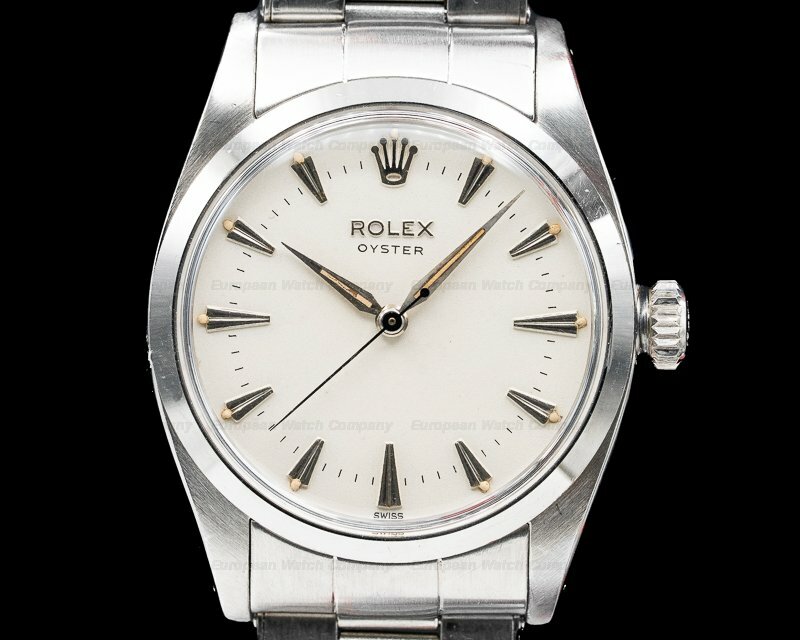 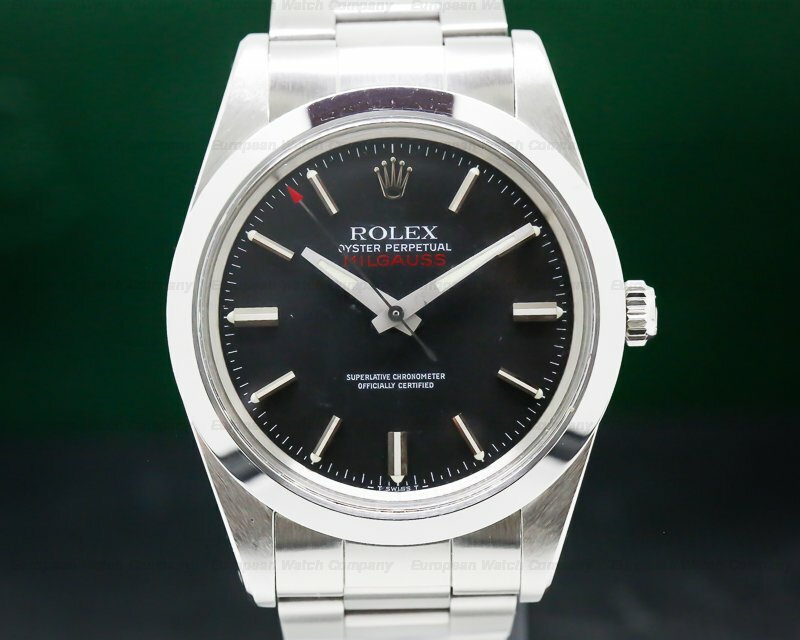 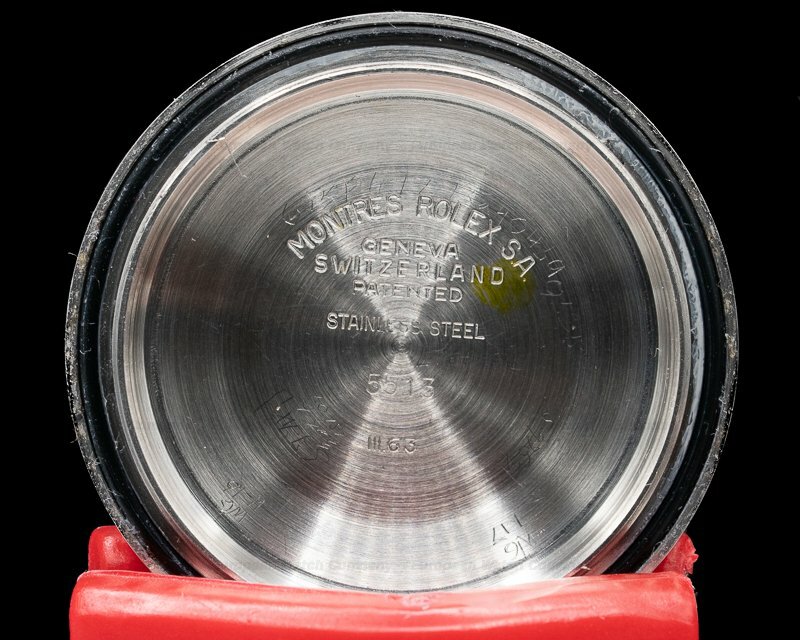 It has a screw down Triplock winding crown with protective shoulders, and a screw down solid case back engraved inside with "MONTRES ROLEX SA – GEVEVA – SWITZERLAND - PATENTED – STAINLESS STEEL – 5513 – III.63. 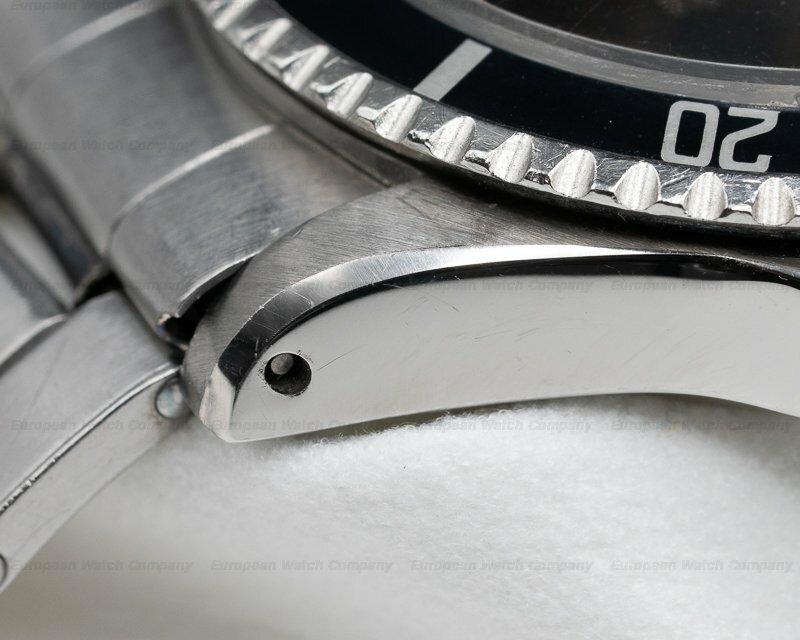 The 40mm diameter solid mono-bloc three-body case, full thick lugs, and slightly aged black bezel, are polished/brushed. 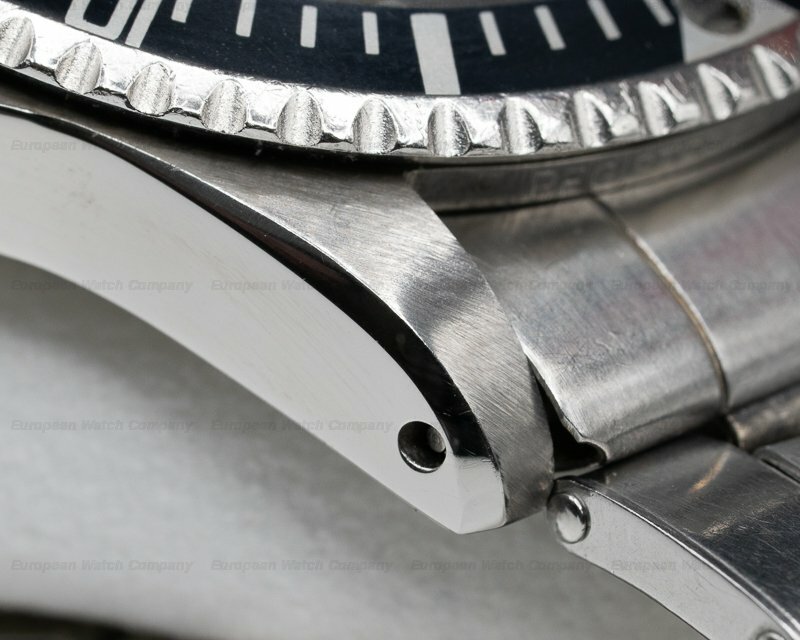 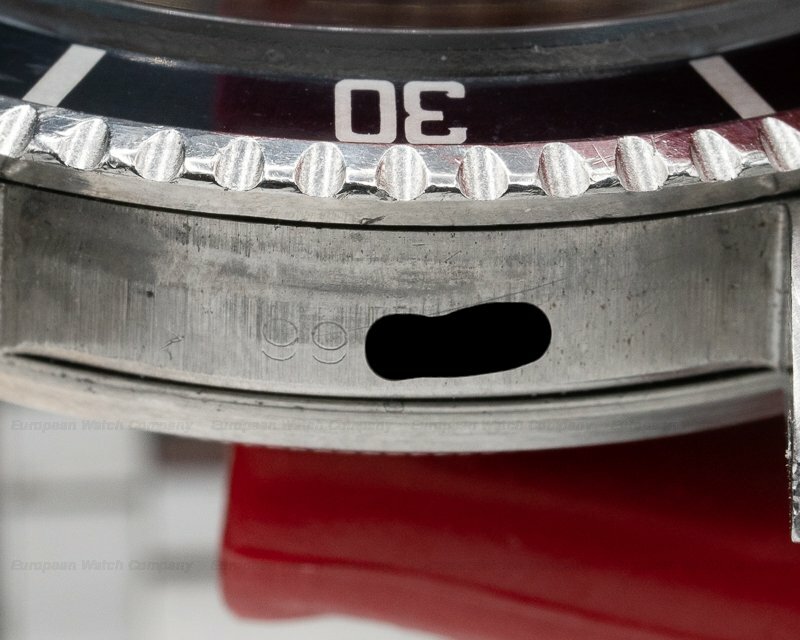 The knurled bi-directional revolving black bezel has white Arabic numerals and baton marker graduations every ten minutes for gauging decompression times. 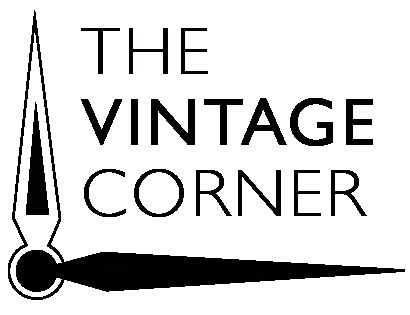 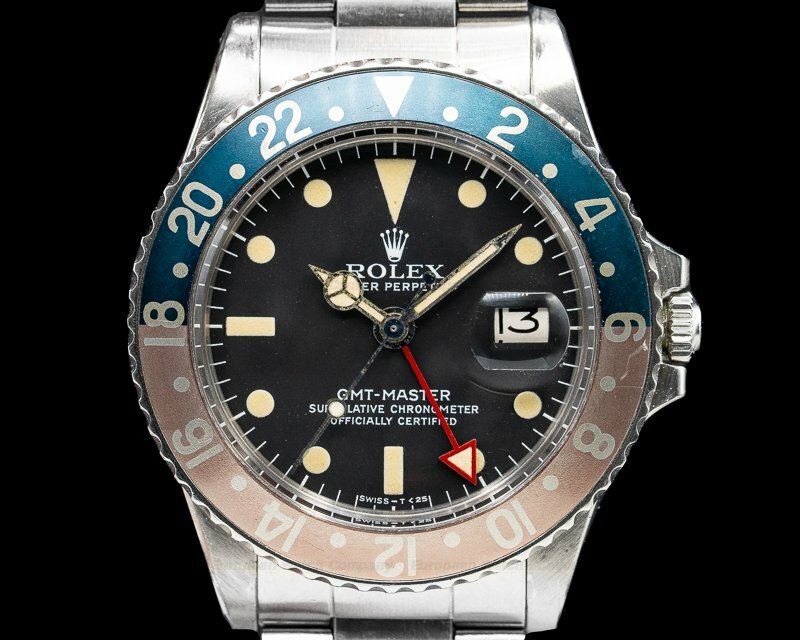 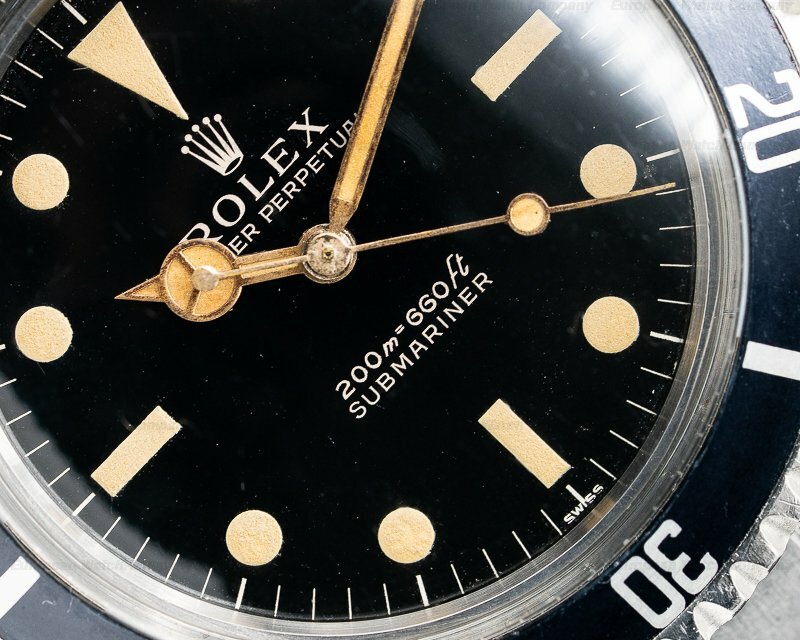 The original dial has bright bold gilt printing, and the circle, baton, and triangular hour markers have aged luminous material that is uniform and original. 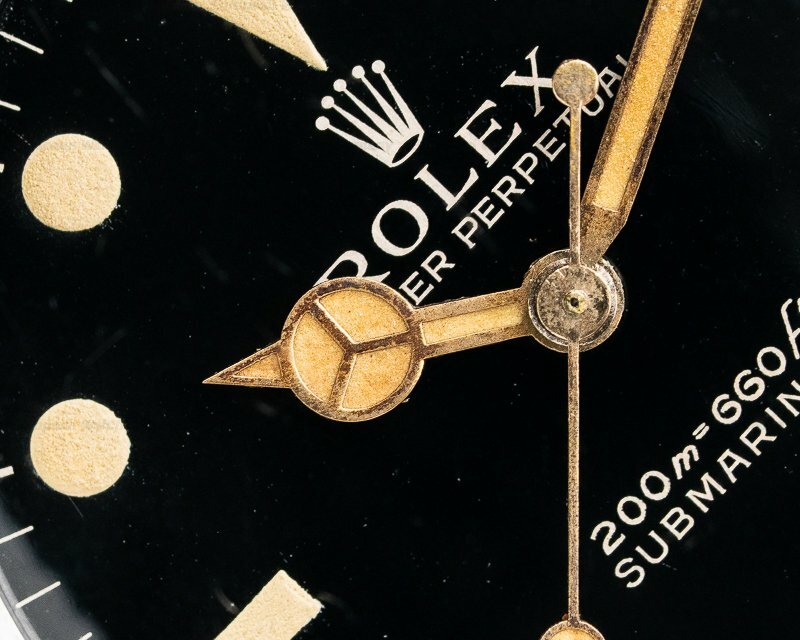 It includes the original "Mercedes" gilt Rolex hands with luminous inserts, and a gilt center sweep second hand with a "lollipop" indicator. 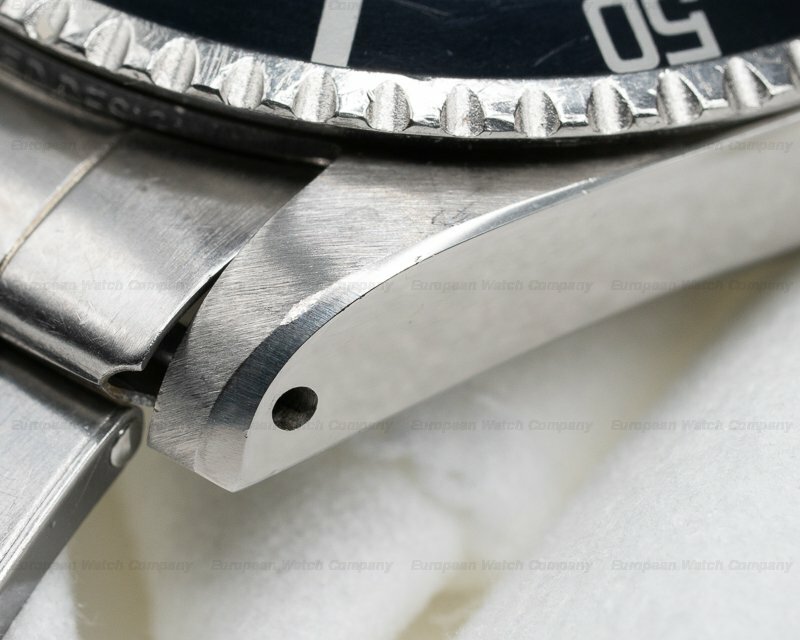 There is a gilt perimeter minute/second scale, and it has a power reserve of 44-hours at full winding, It's water resistant to 200 meters/660 feet, and the 14.5mm thick case, dial, and movement are all signed. 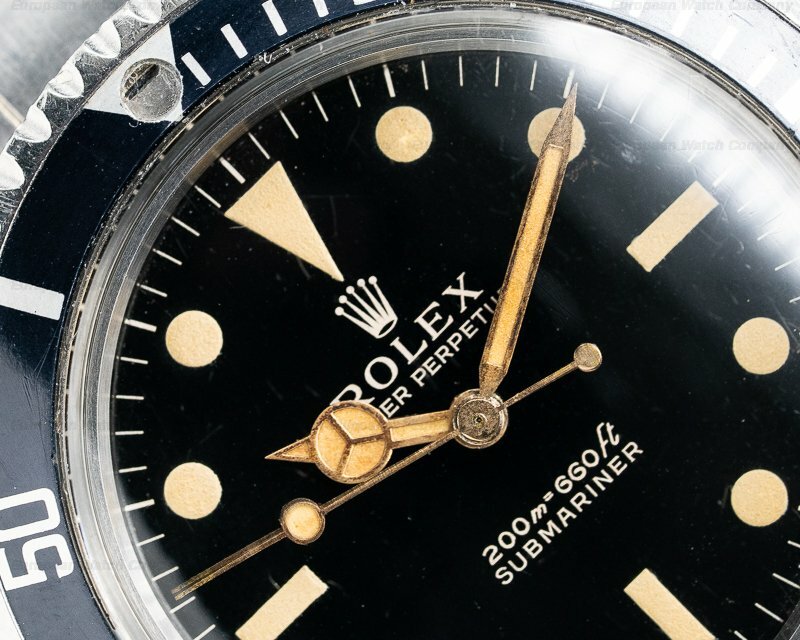 The Rolex Submariner Gilt 5513 has a mechanical automatic self-winding Rolex caliber 1530 movement that's rhodium-plated with oeil-de-perdrix embellishment. 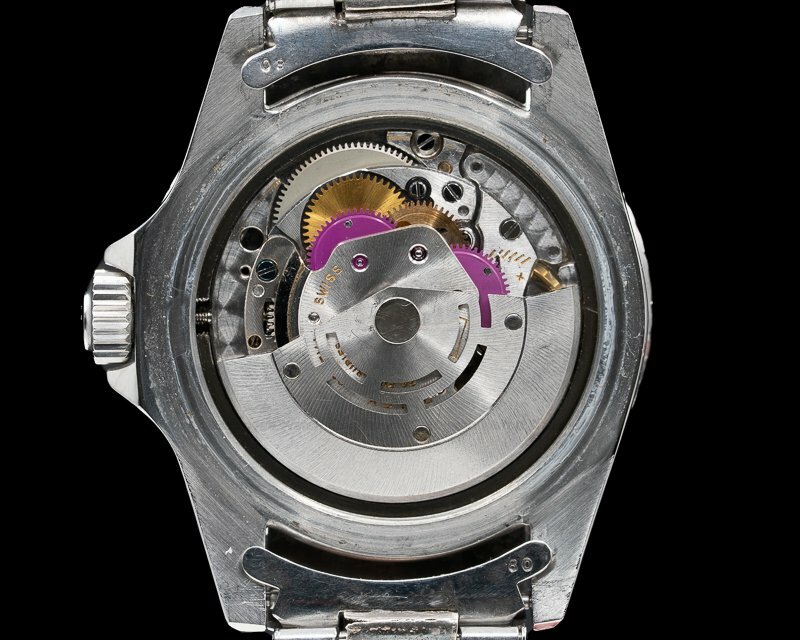 It's constructed with 26 jewels, a Kif-Flector shock absorber mechanism, and a straight-line lever escapement. 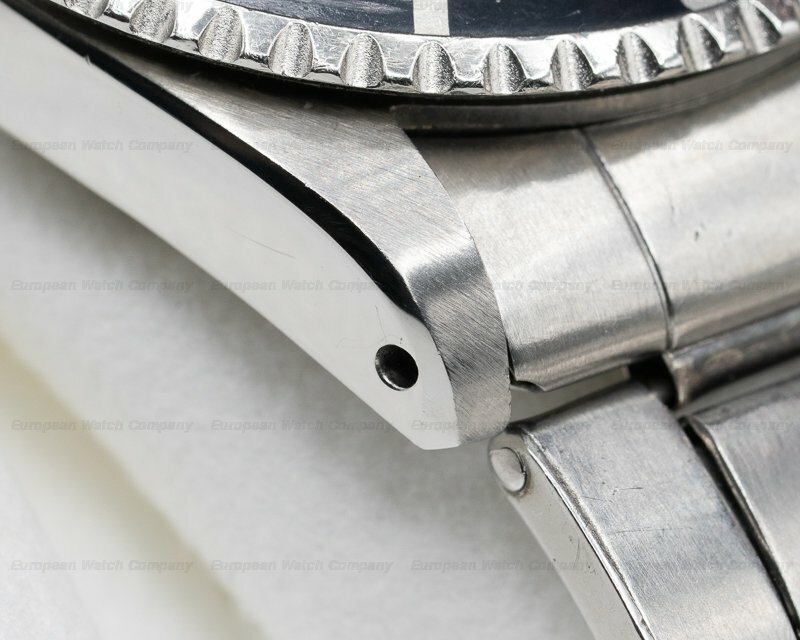 It includes a monometallic balance that's adjusted for temperature and to 5 positions, a self-compensating Breguet balance spring, and Microstella regulating screws. 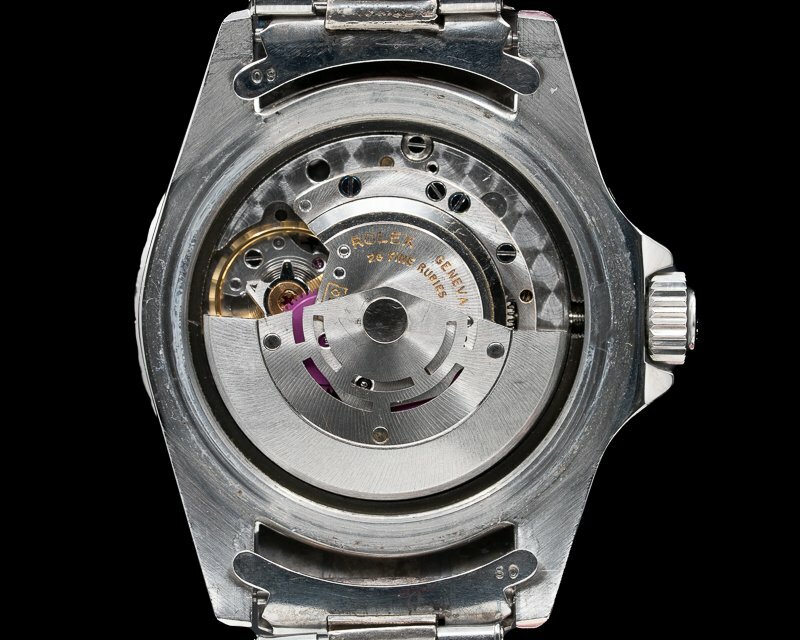 It has an index regulator, a hacking seconds device for precision time setting, and the mechanism oscillates at a frequency of 18,000 vph (2.5 Hz). 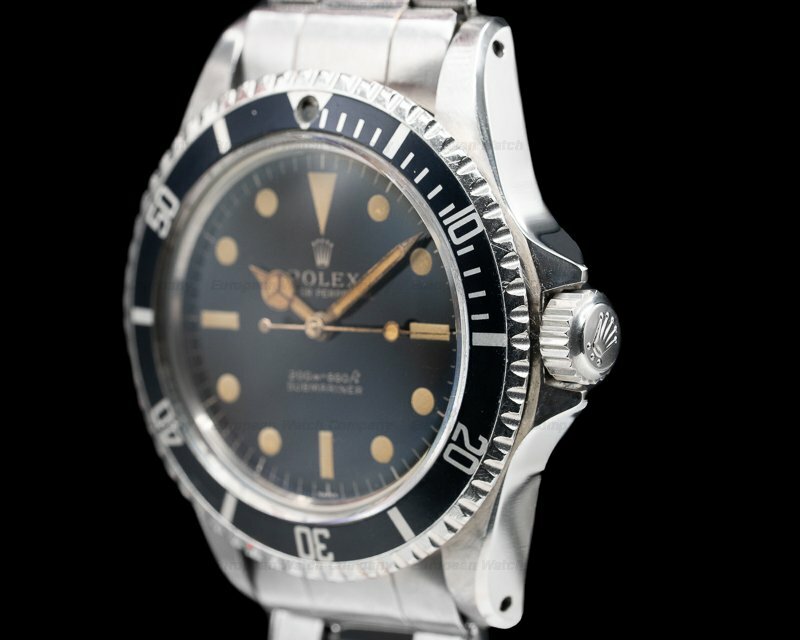 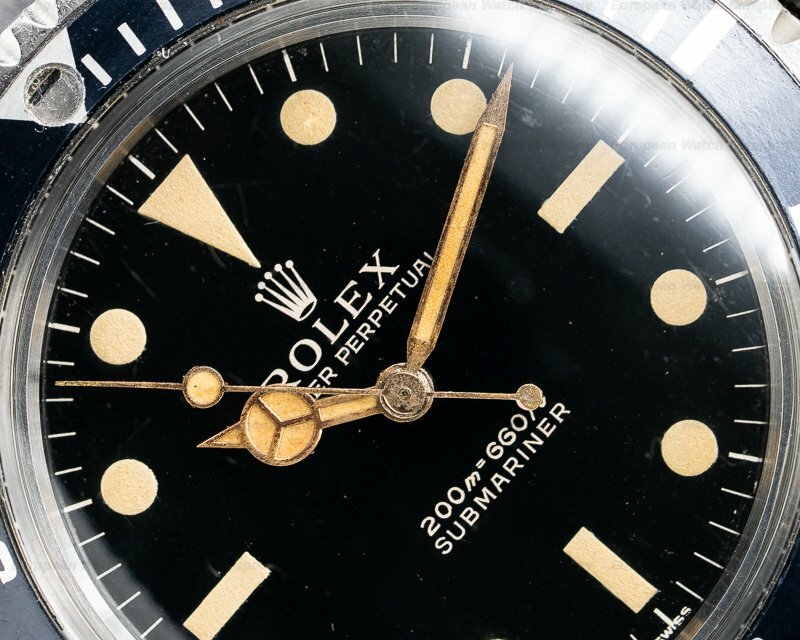 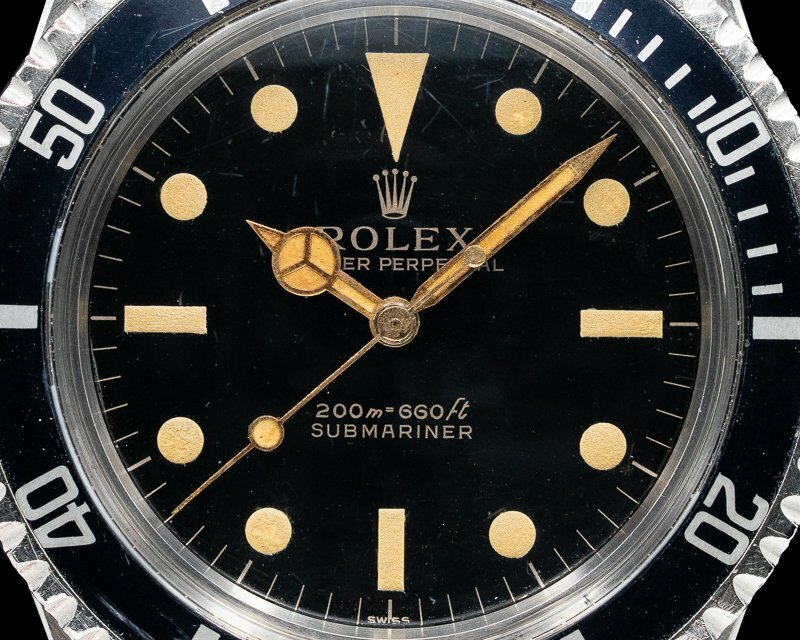 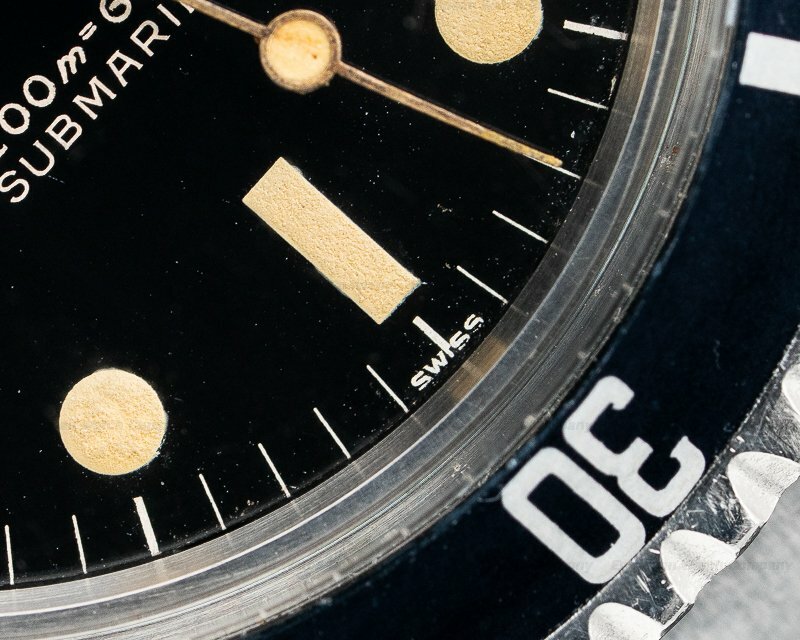 This Rolex Submariner Gilt 5513 is one of the very first gilt dials, produced in 1964.